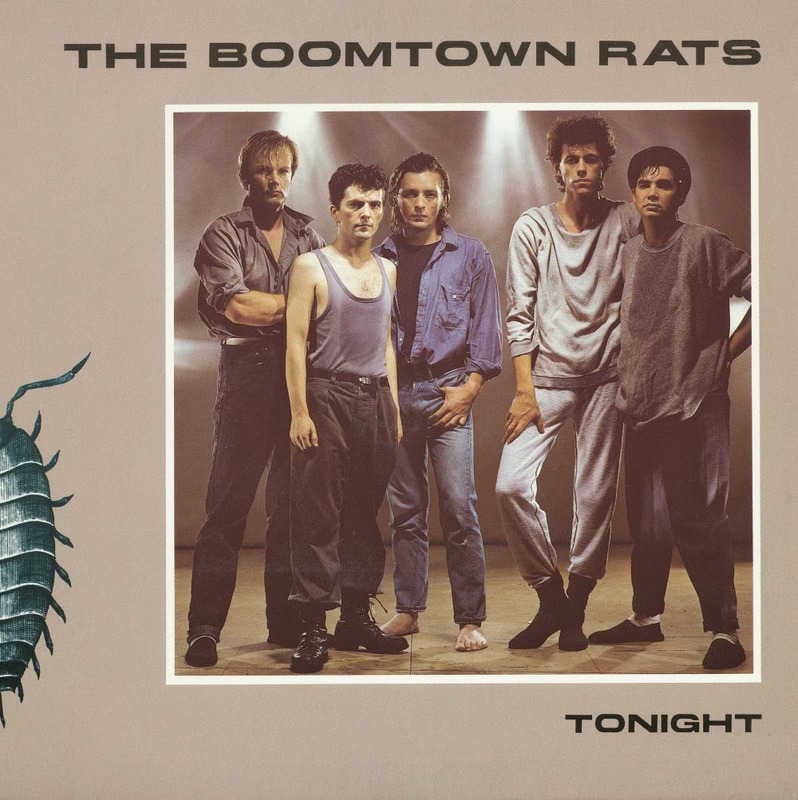 The Boomtown Rats recorded their sixth album 'In the long grass' in 1983, but it was initially rejected by the band's record company. When it was finally released in May 1984, it failed to chart at all. In the US, where the album was also released, it reached number 188 in the Billboard albums chart. 'Tonight' was the first single from the album, released in February 1984. It appeared in the UK singles chart for one week, at number 73. 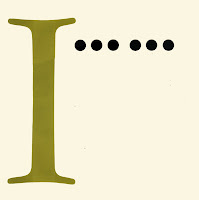 The B-side was a non-album track, which finally appeared on a 2005 CD release of the album. 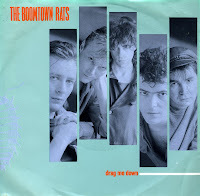 'Drag me down' was a single by the Boomtown rats, released in 1984, shortly before lead singer Bob Geldof became a charity celebrity, writing 'Do they know it's Christmas' for Band Aid and organising Live Aid a year later. It was a good career move for Geldof, as 'Drag me down' was the last chart hit for the Boomtown Rats, stalling at number 50 in May 1984. In 1980, Gerry Cott left the Boomtown Rats. The group continued as a quintet and released their fifth album, 'V Deep' in February 1982. Before that, the beautiful single 'Never in a million years' was released. It was released in a remarkable sleeve, featuring six holes at the front, representing the zeros in 'million', but omitting the band name and the title of the song. As a result, many did not know of the single's release. It only reached number 62 in the UK singles chart. Banana republic is a derogatory term for a country that is politically unstable, dependent on limited agriculture (e.g. bananas), and ruled by a small, self-elected, wealthy, and corrupt clique. 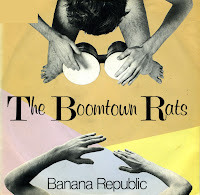 The Boomtown Rats had a hit in the UK with a song with the title 'Banana republic', reaching number 3 in the UK singles chart in November 1980. The track was taken from their 1980 album 'Mondo Bongo'. The album was was produced by Tony Visconti, who is best known for his work with David Bowie. 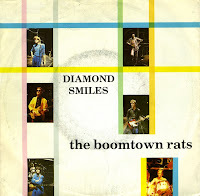 I was too young to understand the lyric of the Boomtown Rats' 'Diamond smiles' but I was fascinated by it. I was sure an interesting story was told here, but I just couldn't make out what it was. Listening to it now, I'm almost certain it's about suicide. The Boomtown Rats were never about happy lovesongs anyway. The single reached number 13 in the UK singles chart, but failed to reached the Dutch Top 40. Lucky for me, because it meant that I could buy the single pretty quickly at discount price. 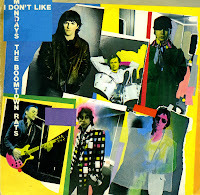 'I don't like Mondays' was written by the lead singer of the Boomtown Rats, Bob Geldof after he read a telex report at Georgia State University's campus radio station, WRAS, where he was giving an interview. The report was about Brenda Ann Spencer, aged 16 at the time, firing at children playing in a school playground across the street from her home in San Diego, California. She killed two adults and injured eight children and one police officer. Spencer showed no remorse for her crime, and her full explanation for her actions was 'I don't like Mondays, this livens up the day'. Geldof had originally intended the song as a B-side, but changed his mind after the song went down well with audiences on the Boomtown Rats' US tour. Spencer's family tried unsuccessfully to prevent the single from being released in the United States. It reached number 73 in the US Billboard Hot 100. In the UK, it was a number 1 hit, and in the Netherlands the single reached number 2. The single was one of two singles I got from my parents as a birthday present.